Worried one of your AirPods will go missing? Apple feels your pain, adding a new tool to iOS 10.3 that will cause a lost AirPod to play a sound and reveal its location on a map. Now we know why Apple yanked the Finder for AirPods app from the iOS App Store. It’s because Apple is releasing its own tools for locating one or more of its wireless earbuds, should they go missing. In early January, Apple mysteriously kicked the Finder for AirPods app ($4) to the curb. The app used the AirPods’ Bluetooth signal to help you locate a missing AirPod. But on Jan. 24, Apple released iOS 10.3 to developers and, two days later, to public beta testers. The big news? Version 10.3 includes a new feature that, you guessed it, helps users find a missing AirPod. If you lose one of your AirPods — perhaps because you got carried away headbanging to music? — iOS 10.3 might help reunite you. By opening the Find My iPhone app, you can play a sound on the missing AirPod, which will presumably help you locate it by ear. For this to work, however, the missing AirPod must be within earshot. And it must be within Bluetooth signal range of any of your Apple products, including iPhones, iPod touches, iPads, and Macs — which must all be signed into the same iCloud account. But what if your lost AirPod’s battery is kaput? Or it’s not within Bluetooth range? With the Find My iPhone app, you can see on a map the AirPod’s last known location. Granted, that location may be your gym, or a shopping mall, or an airport departure lounge. While you may have isolated the lost AirPod’s general whearabouts, good luck trying to find it in a big public space. 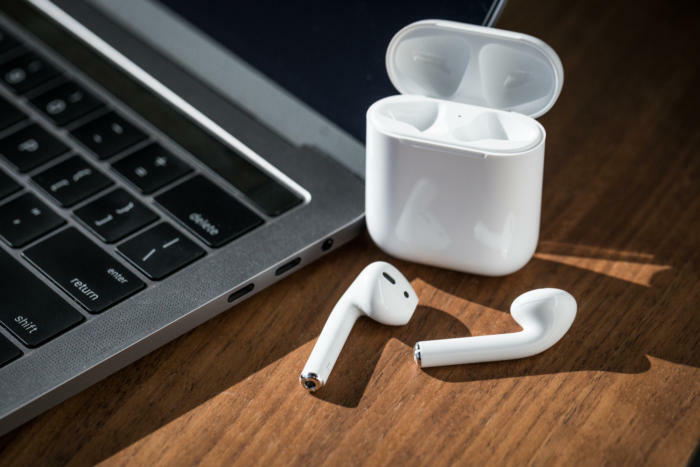 If you want to give Apple’s AirPods finder tools a test now, you’ll need to install the 10.3 public beta. Apple’s iOS beta software installation instructions can walk you through the process. I installed it and tried the AirPod finder tool in Find My iPhone, and it worked well — though the chirpy sound the AirPod emits isn't terribly loud.